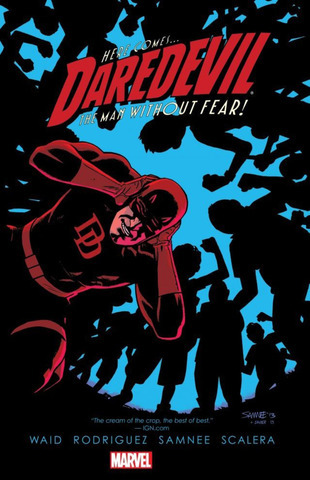 Daredevil by Mark Waid Volume 6 - купить по выгодной цене | Магазин комиксов "Двадцать восьмой"
Some days, it feels like the whole world is out to get you. Matt Murdock's dual life as a defense lawyer and the vigilante hero Daredevil comes to a head when the judicial system turns against him! As he struggles to keep his law firm afloat while his best friend and partner Foggy Nelson undergoes cancer treatment, a new case reopens a chapter from Matt's past - and pits Daredevil against a conspiracy that grips the highest levels of law and order in New York City. Plus: Daredevil takes on international and interstellar threats in tremendous team-ups with all-stars Silver Surfer and the indestructible Hulk!